I have been on the look out for a new primer recently! When I was contacted and asked if I wanted to try this OM SHE Aromatherapy primer out I just couldn't resit! The packaging is sleek and black. 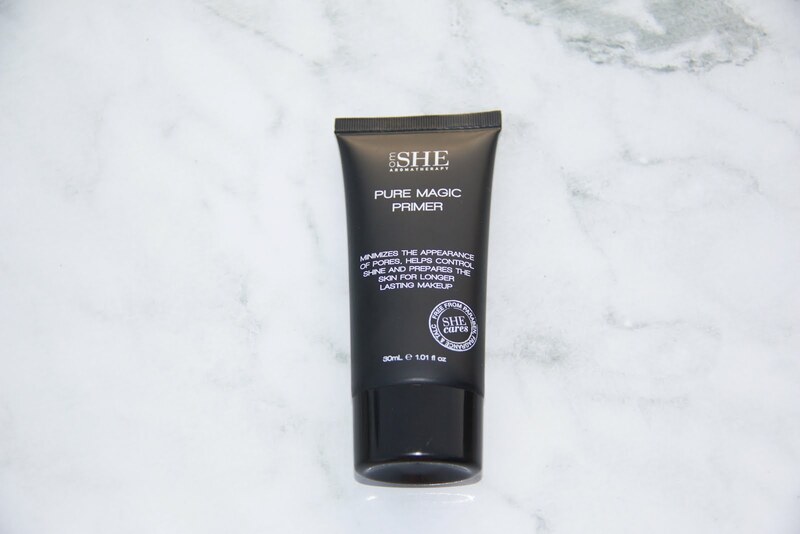 It states that this primer minimizes the appearance of pores, helps control shine and also helps your makeup last longer. This product also contains Vitamin E to help protect and hydrate the skin. 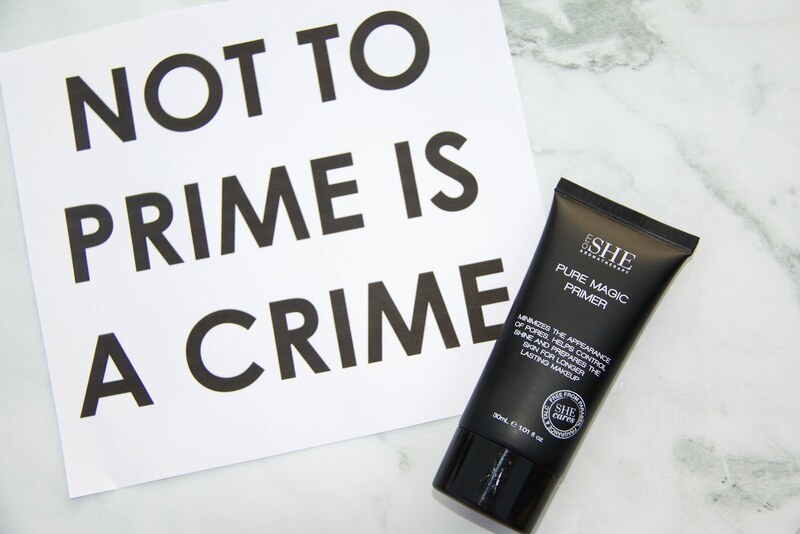 Like most primers you apply this to a clean moisturized face before you apply your makeup. Instantly I was impressed. The colour of this primer is a muted white, when applied to the face it is completely clear and helps fill in the pores around my nose. My makeup definitely went on more easily than usual and it left my skin looking fresh and smooth. This didn't make my makeup last any longer than usual. However, my pores stayed filled in until I took my makeup off. This primer really reminds me of the Maybelline Baby Skin primer. I have done a review of the primer too. You can find that here.